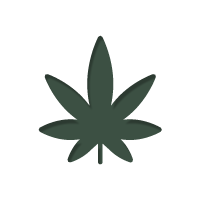 >Blog>What Is The Best Way To Use Medical Cannabis? What Is The Best Way To Use Medical Cannabis? We explore the pros and cons of various medical marijuana consumption methods. After reading this article, you should have a better idea of which method(s) you believe may be right for your lifestyle and condition. Cannabis consumers can be separated into two broad categories, medical users and recreational consumers. While some consider themselves part of both categories, others identify as only one or the other. So apart from the terminology, is there any difference between medical and recreational cannabis? Hope not to confuse you, but the correct answer is both “yes and no.” Let's try to define it in simpler terms. Both medical and recreational cannabis come from the same genus of plant. Recreational cannabis is weed that contains THC in large enough quantities to be considered psychoactive. Under the majority of jurisdictions around the world, this is what makes cannabis illegal. If it does not have THC, it will generally be considered 'hemp'. THC is the main constituent of the cannabis plant that gets you high. People who seek this experience consume “recreational” cannabis - to have fun. But THC also has medicinal potential, along with the hundreds of other active compounds in the plant. Therefore, high-THC plants are medicinal too. For example, more and more individuals with PTSD are turning to THC to help with their condition. In medicine, one of the most studied cannabinoids is CBD. Working in conjunction with the full spectrum of other molecules, it if baffling modern science. CBD is unique in that it is helping fight some of the most notorious offenders of human health. A few years ago, it would be nearly impossible to source high-CBD strains and seeds. Luckily, things are changing. If you are looking for grade A genetics that will produce high-yielding, CBD-rich plants, Zamnesia has a lot to offer. On top of CBD-rich cannabis strains, there are other ready-to-purchase CBD products, like CBD Oil and CBD Crystals. The former comes in a plethora of strengths and varieties, and the latter makes for an extra strong dose of CBD, due to it's 99% CBD content. CBD Crystals can be administered in more ways than one, just like cannabis flower and other concentrated forms of this unique plant. Read on to learn about all the different intake methods. THC is the psychoactive cannabinoid, that makes marijuana users high. If marijuana contains very little of THC, can it still be an enjoyable experience? The best way to consume medical cannabis is really up to the individual to decide. Not all ailments are equal, and all methods of delivery have their pros and cons. Below, we take a look at some of most tried and tested methods of medicinal cannabis delivery. Smoking cannabis is when you inhale smoke derived from combusted plant material. This can be in the form of a joint (without tobacco! ), a bong (water-pipe), or just a regular pipe. We are not referring to the e-cigarette type with glycol-based liquids. Anyone who smokes medical cannabis should look into acquiring a quality vaporizer. The reason is quite simple; it has all the benefits of smoking medical weed, without the health disadvantages. There are two main types, portable and desktop. For the more serious medical patients, we recommend a high-end desktop model. Eating medical cannabis is a great way to deliver cannabinoids. Edibles come in many shapes and forms - baked, candy, ice cream, soup - virtually anything you can think of can be infused with cannabis. There is just one big caveat – if using high-THC strains, it is very easy to over-consume and get extremely high for an impressively long time. There is also some variation between plants of the same strain. Therefore, even the most modern processes of producing edibles offer no guarantee of complete consistency between batches. Tinctures are extractions from the cannabis plant made using alcohol, glycerin, or MCT oils. Tinctures can be made to varying degrees of strength, and are easily ingested. Tinctures work very well using the sublingual method of delivery. Just a few drops under your tongue and try not to swallow too often for several minutes. This will allow the active molecules to go straight into the bloodstream, bypassing the whole digestive system. In lay terms, these cannabinoids will work in a slightly different way, but are equally effective. Medical cannabis concentrates come in many forms with slang terms like hot wax, butane hash oil (BHO), rosin, shatter, budder, and more. Generally speaking, they are all similar end products of an extraction method that uses a solvent. This solvent will remove the resin glands from the plant, then a second step purges the solvent, leaving behind a near-pure concentrate. In some cases, THC content can exceed 90%. „Once you get locked into a serious drug collection, the tendency is to push it as far as you can“ - we couldn‘t agree more, Hunter. Dabbing is the term used for inhaling concentrate through a dabber or dab rig. A dabber is the required apparatus to heat the oil, quickly sublimating it into a cloud that is promptly inhaled through a water-pipe to cool it down before it enters the lungs. In most aspects, this is very similar to eating infused edibles. The main difference is that the onset will be marginally faster since the molecules in liquid form are easier to digest. Another thing to keep in mind is that if you’re particularly thirsty, you run the risk of over-consuming. Speaking of tea and other beverages you can infuse, remember that you will require a solvent as the resin glands of the cannabis plant are hydrophobes. This means that water alone cannot dissolve plant trichomes and extract cannabinoids. You will need an alcohol-based add-on or an oil base like butter or coconut oil - both of which can add unwanted tastes and side-effects. But cannabis culinary science has been evolving with leaps and bounds. There are many commercial options tailored to all sorts of different medical and recreational consumers. This simple method uses a typical patch placed over the affected area of skin. In practical terms, application is similar to that of a nicotine patch. There are patches of different sizes and concentrations and they are even surprisingly easy to make at home if you can source the right materials. FINAL THOUGHTS - WHAT’S THE BEST WAY TO CONSUME MEDICAL CANNABIS? As you can see, there is no single solution to all problems. And not all individuals have equal tastes, preferences, and tolerances. Also, there is still much we need to learn about this wonderful plant and its medical potential. The best thing to do is to experiment after becoming well-informed. But never forget, there is no such thing as a lethal cannabis overdose. While you can technically overdose on THC, the results are non-life-threatening, albeit occasionally uncomfortable. So do not fear experimentation. Even if you accidentally consume a massive quantity of super strong chocolate chip cookies, the worst thing that will happen is you will be extremely high for a few hours. As they say, preparation goes a long way.